The trend among rental-car companies is moving more toward online tools and mobility services for their retired units. The number of retired rental vehicles headed for physical auctions is declining as rental-car companies pursue other options to move out their aging vehicles. 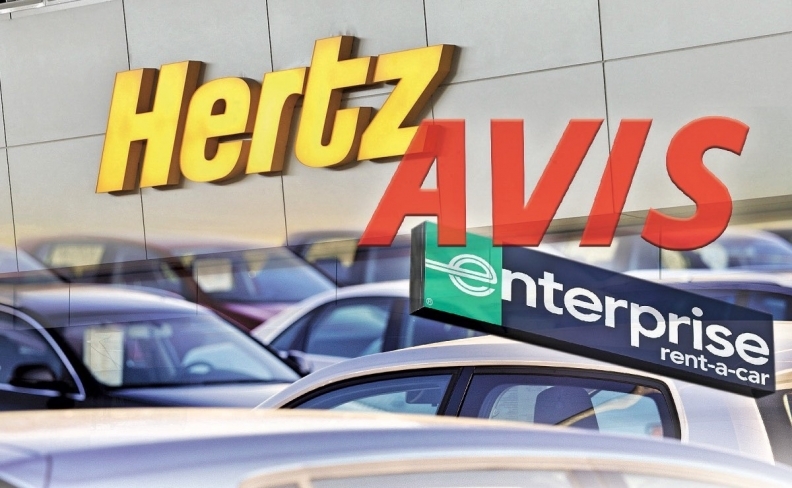 Both Hertz Global Holdings Inc. and Avis Budget Group Inc. said in their second-quarter earnings calls that they're using sophisticated software tools to improve utilization rates and thereby operate with smaller fleets. They also are putting some vehicles into mobility service and are selling a larger portion of their retired units through nonauction channels. Take Avis Budget's sales of retired units: In the second quarter, 52 percent of those sales were through what it calls alternative channels vs. 48 percent through auctions. That's an exact reversal of the percentages a year earlier. Rental-car companies increasingly are turning to channels other than auctions to dispose of retired vehicles. Here is how the 2 publicly traded companies have disposed of their vehicles. At Hertz, the percentage of retired rental vehicles sold at auction dropped to 24 percent in the second quarter, down from 40 percent a year earlier. Hertz this year is opening a "handful" of retail lots to sell retired vehicles to customers, and the company also is investing in online retailing capabilities for its website, CEO Kathryn Marinello told analysts this month. Privately held Enterprise Holdings Inc. sends only about 15 percent of its retired vehicles — many of them damaged units — to brick-and-mortar auctions, said Kurt Kohler, senior vice president of fleet acquisition and remarketing. Another 10 percent are sold directly to consumers, leaving the vast majority to be sold directly to the roughly 15,000 dealerships with which Enterprise has a relationship. The trend toward fewer rentals going to auction goes back several years. In 2014, the rental industry wholesaled 1.5 million units but sent only about 750,000 to brick-and-mortar auctions, according to Zohaib Rahim, an economist at Cox Automotive. In 2016, the number of units wholesaled had risen to 1.8 million, but only 725,000 went to physical auctions. In 2017, the pattern reversed slightly, with 1.7 million units wholesaled and 800,000 going to auctions as rental companies tried to shrink fleet sizes, Rahim said. In 2018, "the sheer rental car volume at wholesale has come down" again, he said. Selling to outside auctions works because rental companies are doing a better job of buying vehicles consumers want, experts say. "Before we go into the buying year, we sit down and really take a look at what customers are looking for in rental cars," Avis Budget CEO Larry De Shon told analysts in a quarterly conference call. "We don't buy cars outside of what the customer demand is." Passenger cars will account for less than half of Avis Budget's fleet this year, reflecting consumer preferences for crossovers and SUVs. It's easier and faster to sell retired units when they're ordered with the customer in mind, Enterprise's Kohler said. "This is critical," he said. "As long as you're buying those right cars, it's just a good customer experience when they have the car" as a rental. Marinello told analysts that Hertz's Thrifty brand renters "love Subarus. So we over-subscribed Subarus." Another big change: Rental companies realize "not all the cars should be sold at the exact same time," said Avis Budget's De Shon. Some Avis Budget vehicles are now moving from its rental fleet into a fleet run in partnership with ride-hailing service Lyft, delaying their sale. "Not every car should be sold at 100,000 miles or 110,000 miles," said De Shon. "And it really makes a difference depending on the make and model, where you're selling it, the trim levels that are on it, the mileage that's on it and so forth to make sure that you really optimize the opportunity of when you're going to sell them."